Offer your kids math-rich play. Learn how to adapt the same mathematical problem for children of different ages, interests, and walks of life. Meet other adventurous parents and educators. Participate in making a high-quality, open license book (like the earlier book, Moebius Noodles: Adventurous Math for the Playground Crowd, which grew out of a similar course). Contribute to research in mathematics education. Can people of different ages be happy doing math together? 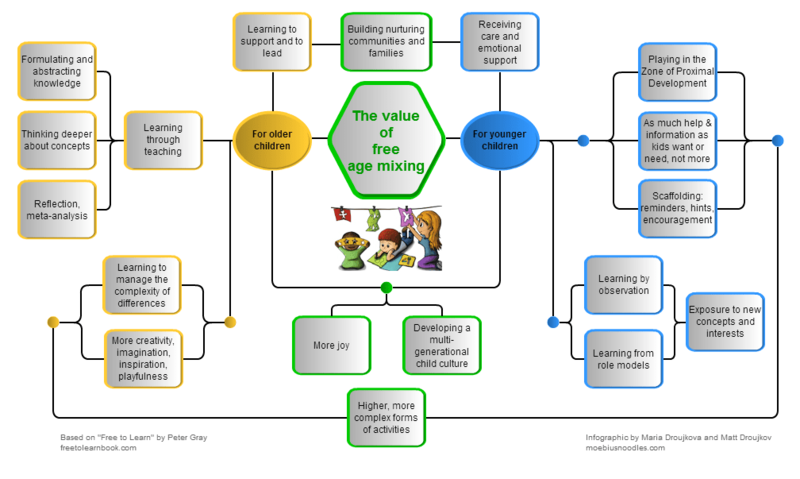 There are a lot of benefits to mixed-age learning. Click the image to find out more about mpsMOOC13!